The procedure of getting a tattoo involves a lot of pain, but it is, even more painful to take care of your new tattoo as well. 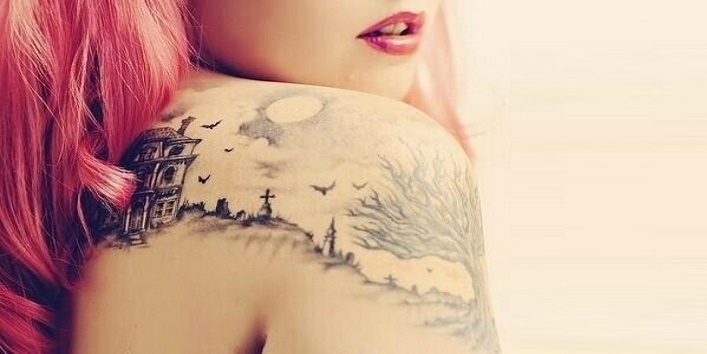 Though your tattoo is a form of body art but it is an open wound as well. You have to take extra care of it because if you fail to do so things may get really nasty. 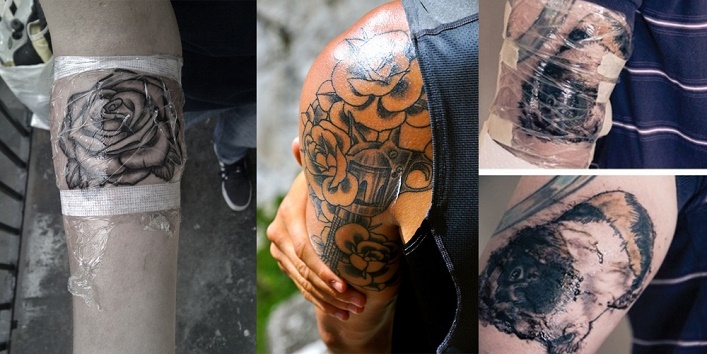 Here are some of the things that must be taken care of when you get a new tattoo. 1. Not ignoring the instructions of your tattoo artist- The one of the worst things that you can do after getting a new tattoo is not following the instructions given by your tattoo artist. This is their profession and they know the most about it. So if they ask you to do a certain thing and not to do something then listen to them. Do as they say both during the tattoo making process and after it. Their advice is better than any information you will get on the internet. 2. Scraping the scabs- Scabbing is the part of the healing process. So after you get your tattoo it is going to scab for a few days or even weeks. 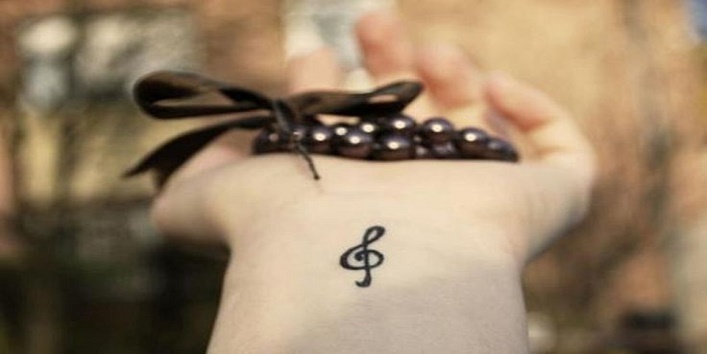 You tattoo is fresh and so many tiny needles have been used on your skin to push the ink into your skin. So, it is going to take some time to heal obviously. So make sure you do not pick or scrape off the scabs formed on the tattoo because that way you can remove the ink placed underneath your skin. The crust will fall off on its own when the tattoo healed. 3. Sleeping on the tattoo- avoid sleeping directly onto your tattoo this way you can avoid the chances of getting any infection or causing any irritation as there are fewer chances of getting sweaty or heated up. But if you have got a tattoo done at a body part that you have to sleep on such as your back then make sure to put a soft towel between the mattress and the tattoo so as to provide some extra protection. 4. Contact with water- After getting a new tattoo wait for at least a week before submerging your hand in water or exposing the part you have got a tattoo to water for a long period of time. Taking a 2-minute shower is allowed and won’t cause any problem. But going for swimming or soaking the bath tub for hours is a big no-no. This is because standing water is where the germs and bacteria breed and thus you should avoid getting your tattoo in contact with such contaminated water. 5. Keeping it covered for a long time- At the time you leave the tattoo parlour you will have a plastic bandage on your tattoo, but you should not keep this plastic for too long on your tattoo. The plastic opens up the pores and draws the blood out. But you should not keep it on for a very long time. After some time you should remove the plastic bandage and let the healing process start. 6. Direct sunlight- After getting a new tattoo that particular area will turn very sensitive and if you expose that area to the sun for a prolonged period of time it will only worsen the condition. 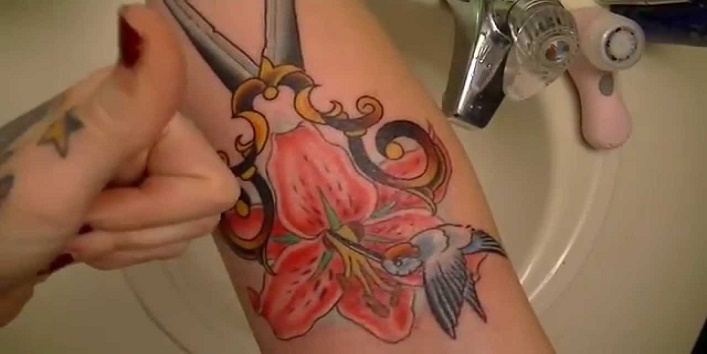 You certainly don’t want to get a sunburn on a fresh tattoo as it can be disastrous. 7. Touching it too often- While your tattoo is in the healing phase you should not touch it, scrape it or poke it, no matter how badly you want to do it. Your hands and fingers may look clean but most of the times there is bacteria present on them which may get transferred to the tattoo and may cause infections.